The imposing stature of the Review Tower at the corner Riverside and Monroe stands as a reminder of different times. The late 1800's were the time when newspapers were king. 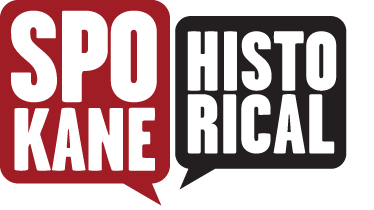 Long before radio and television, before major networks came to dominate national news, newspapers in towns like Spokane fought it out over readers, advertisements, and public opinion. 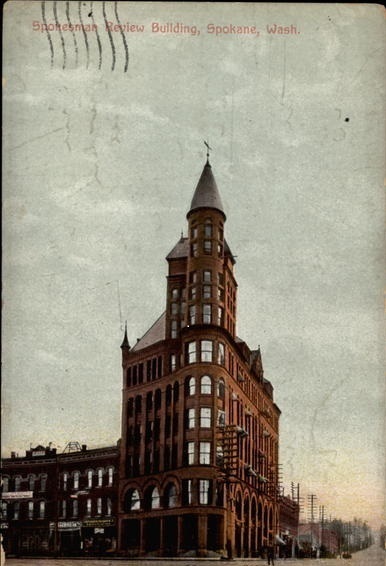 Originally begun in March, 1890, and completed in October of the following year, the Review Building and tower became the home of the Spokane Falls Review, a joint business venture between the Portland Oregonian and A. M. Cannon. 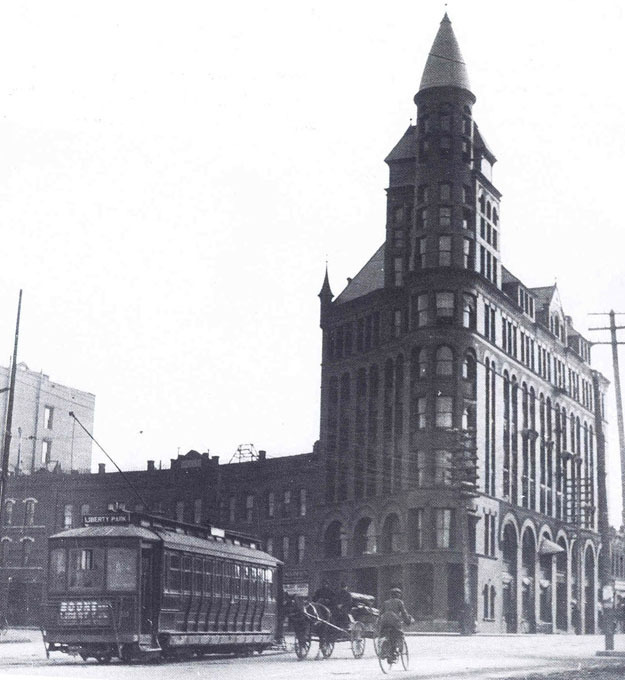 Although today it stands in the shadow of the federal building across the street, when it was completed, the six story brick building dominated the skyline in the wake of the fire of 1889, and would remain the tallest building in town for the next ten years. As a Spokane landmark, the Review Tower projected an air of power, respectability, and reliability, all things which the owners of the Spokane Falls Review wanted Spokane's citizens to associate with their paper. Indeed, the enormous building was intended to intimidate its competition in the newspaper wars, but the Review Building was actually bigger than the newspaper needed. So much bigger, in fact, that the building was home to two newspapers and the Hotel Review at one point, until the Chronicle moved across the street and the hotel was closed. The constant warring left the two big newspapers in Spokane, The Spokesman and the Review, weakened and financially strapped, forcing them to merge together into one paper. 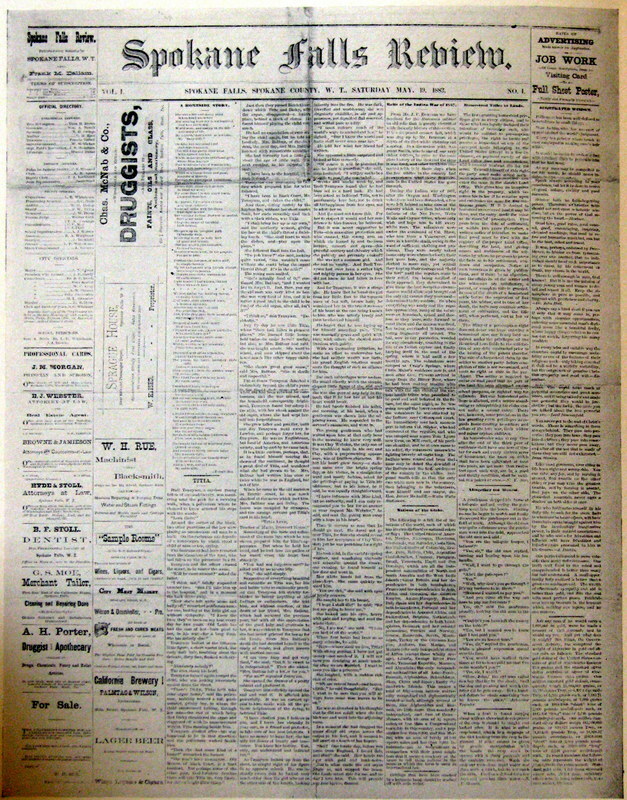 Despite this move to save the papers, when the financial panic of 1893 struck, the newly christened Spokesman-Review was hit hard, dropping from twelve pages down to four. 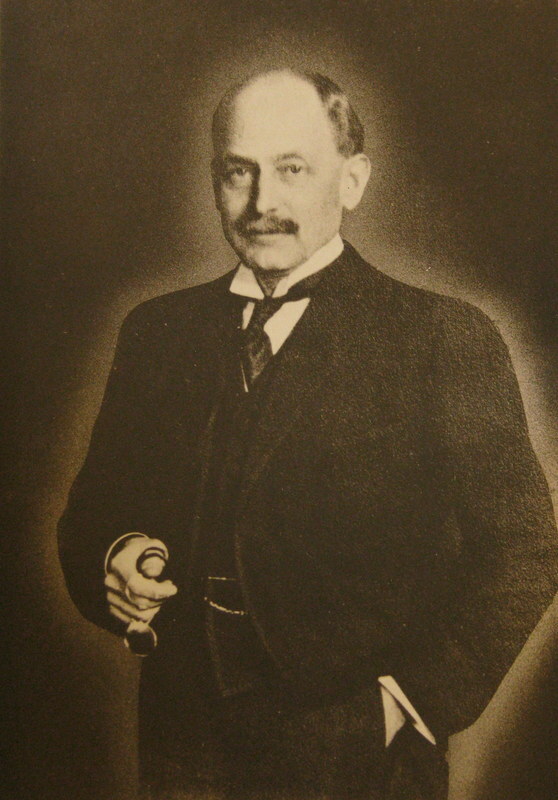 Rather than pull out of the venture, W. H. Cowles, one of the owners of the paper, invested further and acquired the newspaper entirely for himself. 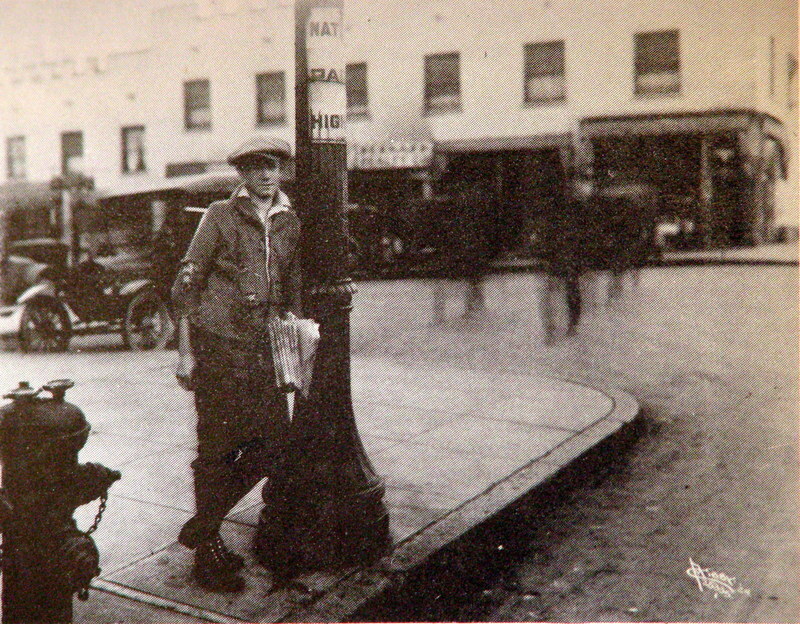 In the span of just a few years, the Spokane newspaper wars had whittled the field down from two major newspapers with numerous owners to just one newspaper owned by just one man. 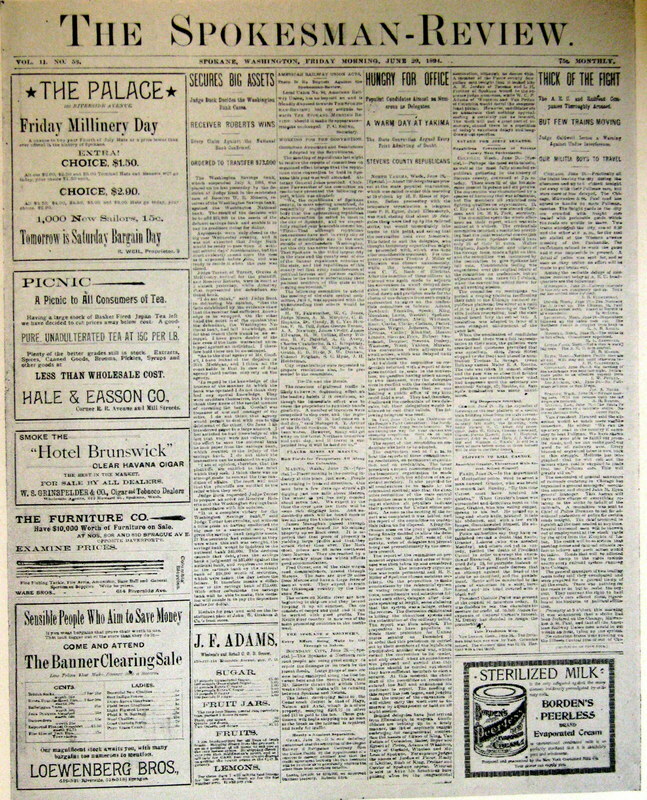 Cowles had won, and his Spokesman-Review would remain the city's premier newspaper to the present day. Ian Reeves, “Review Tower,” Spokane Historical, accessed April 20, 2019, https://spokanehistorical.org/items/show/85.